Fabric: 95% Viscose, 5% Elastane. One Size Fits UK 8 to 18. A simple strappy maxi dress to throw on over your bikini this summer. 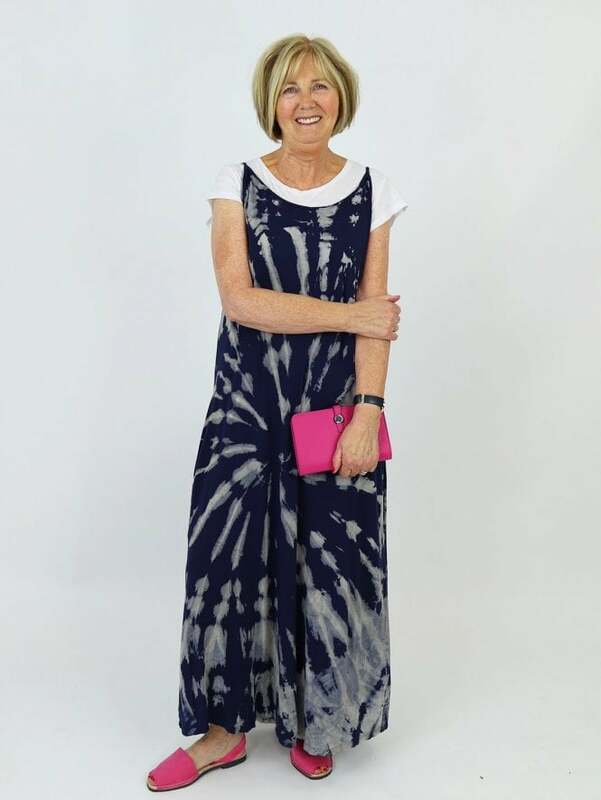 The Made in Italy Vernazza Tie Dye Dress features an all over tie dye print with thin straps, a simple square shape and two pockets. The style looks perfect with simple sandals and a shopper this season. This dress fits like a dream and hangs perfectly. Just the right length. We're holidaying in Egypt in April and I need something that I can wear casually or dress up. This is perfect. And what a great price too.